King Philip junior Tyler Stringfellow has been selected as the HockomockSports.com Player of the Week, presented by Morse Insurance, for Jan. 28 through Feb. 3. Stringfellow is the 18th player selected for the 2017-18 school year and eighth player chosen during the winter season. 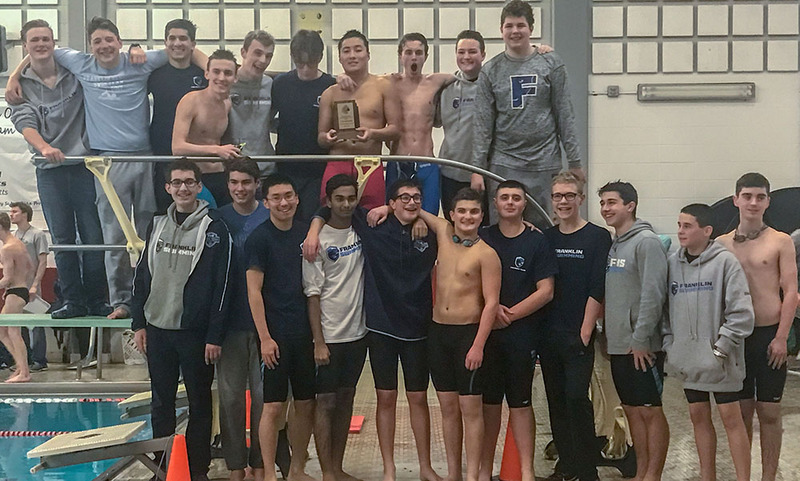 Stringfellow, a junior swimmer, put in an outstanding individual performance at this weekend’s Hockomock Swim Championships at Milford High and helped King Philip take third in the team standings, behind Franklin and Oliver Ames. Stringfellow won two individual titles, a relay title, and finished second in another relay to close out the day. 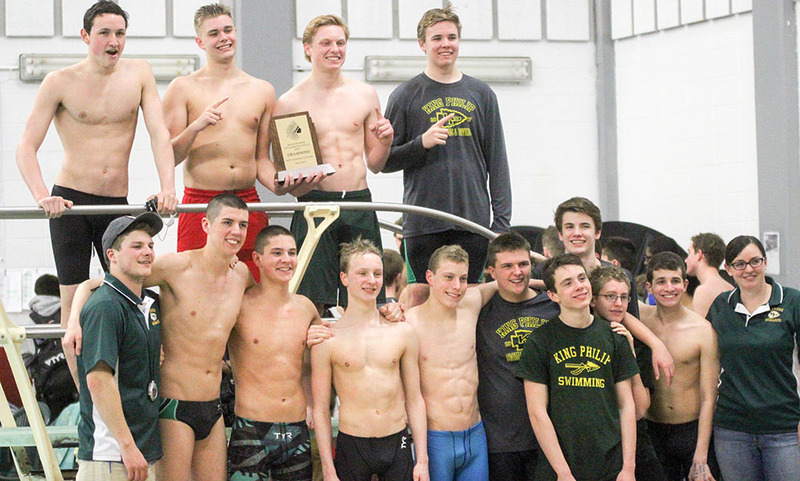 Along with Colby Vieira, Dean Whyte, and Tate Duffy, Stringfellow got KP off to a perfect start by winning the 200-yard Medley Relay by five seconds over second-place Franklin. 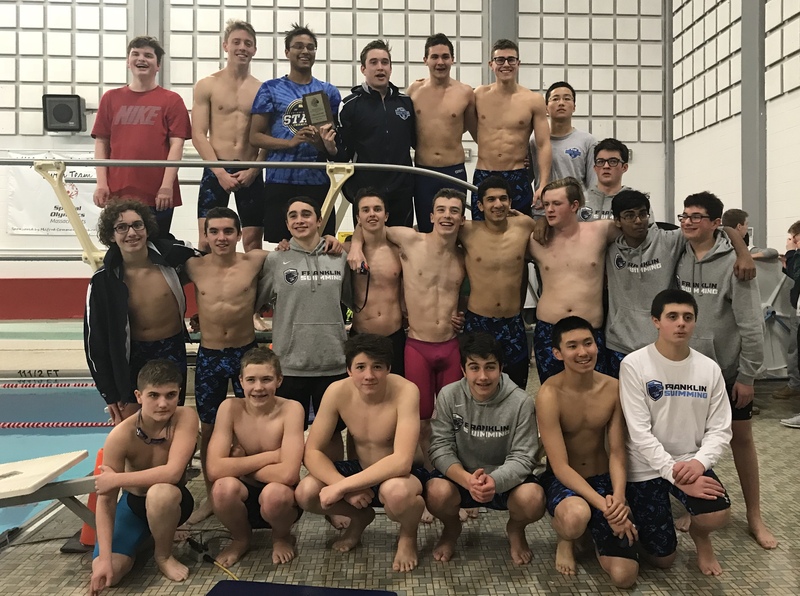 He followed that with a win in the 200-Free by more than a second and a dominating swim in the 500-Free, which he won by nearly 15 seconds over his nearest competitor. Stringfellow joined with Whyte, Duffy, and Vieira to close out the meet with a second place finish in the 400-Free Relay, just .32 seconds behind the team from Oliver Ames.